The Pata Yamaha Official WorldSBK Team put in maximum effort in Race 2 at Aragon for Round 3 of the 2018 Motul FIM Superbike World Championship on Sunday. 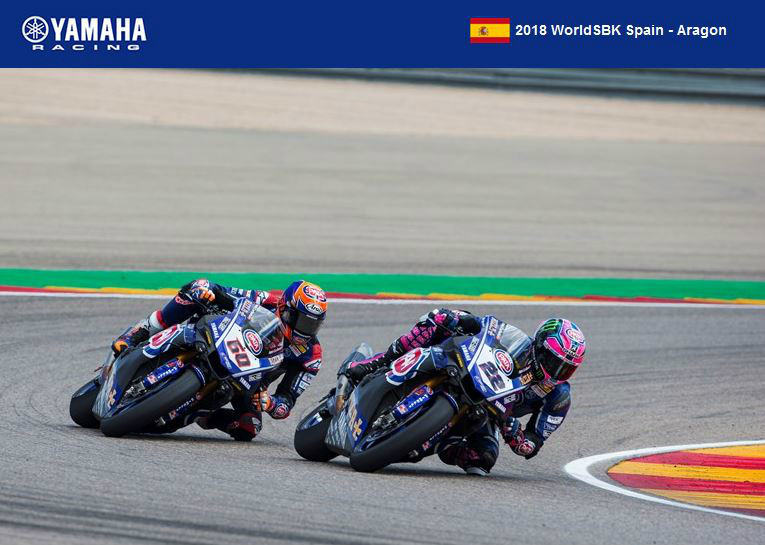 Alex Lowes started from fourth on the grid and was involved in the podium battle but found himself suffering from a lack of grip on corner exit. Despite this, he rode to his full potential and enjoyed a superb battle once more with his teammate Michael van der Mark in the latter stages of the race, emerging the victor of the duel to cross the line in fourth place. Van der Mark had a blistering start from the middle of the front row and led across the line after the first lap. He, unfortunately, also had a slight issue with his R1 and battled as hard as he could despite not having a great feeling with the front end, enjoying the excellent fight with his teammate in the last few laps before finishing the race in fifth.